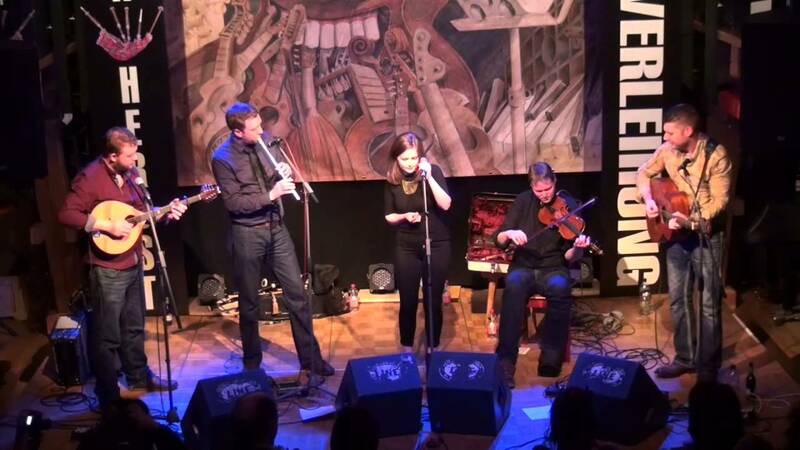 Daimh are a Celtic band that has been on the scene for 17 years. They have been through several line ups, as well as the regular members Angus MacKenzie (pipes/whistle), Gabe McVarish (fiddle) and Ross Martin (guitar)this performance included two newer members of the band; Murdo Cameron: (Mandola/Mandolin/Accordion) and 21 year old Ellen MacDonald (Vocals) . Opening with a set of three original jigs the band then brought on Ellen who sang the first of 3 songs about a farmer who had turned to drink about. Ellen sang all her songs in Gaelic but I would not let this put off anyone who does not speak the language off’ as her singing is beautiful without understanding the words. The music was extremely well performed and all the musicians showed their talent in changing from one instrument to another with no drop in ability. The original music is of a very high quality and will no doubt be part of the continuing traditional scene long into the future. When they performed music without lyrics the music was generally more up tempo giving almost two separate performances, but at the end Ellen sang Mouth music (Puirt-à-beul) showing that she could also do happier tunes. Overall it was a thoroughly good night; my only criticism was that there was no place to dance. If you have never experienced Celtic music before I would recommend being introduced through Daimh, and if you have and enjoy it these are some of the best performers around. They are on Tour In Mull, Skye Uist and Ireland before playing at UNIVERSITY OF ABERDEEN MAY FESTIVAL , on the 29th of May at The Lemon Tree .